Named after the hotel in Alfred Hitchcock's Vertigo, this immersive complex (with more than 100 meticulously art-directed rooms) has been created to house the interactive-theater experience Sleep No More. This is quite a building in Chelsea. It's home to Sleep No More, the critically acclaimed interactive theater experience that’ll have you chasing characters around for hours, the Manderley Bar, where there's live jazz and concerts, the Heath, the luxe restaurant that also houses live music, and Gallow Green, the gorgeous rooftop bar with pricey yet delicious cocktails. This place also hosts seasonal events, like wild parties for Halloween and New Year's, and they almost always sell out. Basically, the McKittrick is entertainment gone Hulk. 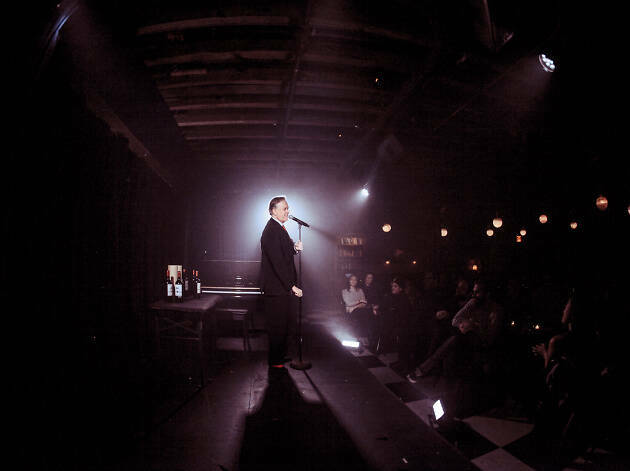 If you want to step outside your usual routine nightlife plans, then just step inside the McKittrick.